A highly visible project located on one of the busiest intersections in the city will bring the first Aman Hotel to New York and introduce the very first Aman private urban residences. Gilbane has been engaged by OKO Group to complete a renovation and vertical expansion within the Warren & Wetmore Crown Building. 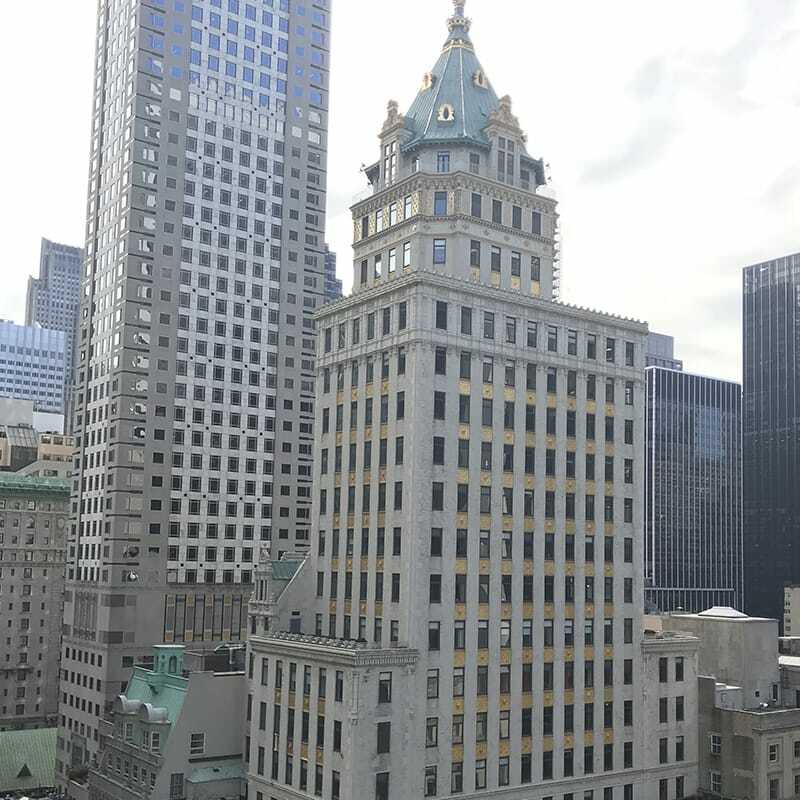 Located at the busy intersection of 57th Street and Fifth Avenue, the landmarked building is neighbored by Trump Tower and the Plaza Hotel. Aman Hotels and Resorts is a global hotel brand, known for its unmatched level of luxury and unique settings. Set to open in 2020, the building will be transformed into 83 rooms and suites, as well as 20 of Aman’s first urban private residences. Future guests and residents will be spoiled by views of Central Park, as well as numerous building amenities. This high-end project includes a three-story day spa, indoor pool with an outdoor space, wraparound terrace, restaurants and bars. The hotel rooms span 750 square feet each and are complete with deluxe finishes and individual fireplaces. The private residences on the top floors include unique and opulent apartments, as well as one five-story penthouse that boasts private indoor and outdoor pools, as well as expansive views of Manhattan. Gilbane will utilize our extensive residential experience as well as innovative high-end prefabrication techniques to transform this historic Beaux-Arts Crown Building into the first Aman Hotel and Residence in New York. The project is located at 57th Street and Fifth Avenue at one of the busiest intersections in Manhattan. Neighbored by Trump Tower, the Plaza Hotel and Bergdorf Goodman, the location is swarmed by numerous pedestrians and cars from the countless tourist attractions and businesses in the area. To ensure the safety of the surrounding neighborhood, the Gilbane team has created critical scheduling, logistics plans and access paths for construction activities and deliveries. The consistent communication and ongoing revaluation of these plans is critical to maintaining safe and disruption-free ongoing operations of the surrounding neighborhood, and therefore ensuring the success of the project.